The Men's Scottish Kilt with Scarf is an attractive combination of a Scottish-styled kilt paired with a simple scarf. Made from a quality fabric featuring the classic tartan pattern, this garment is a great beginning to a traditional Scottish outfit. The fabric used to make these tartan-patterned garments is 65% cotton and 35% polyester. The kilt is fairly traditional in length. 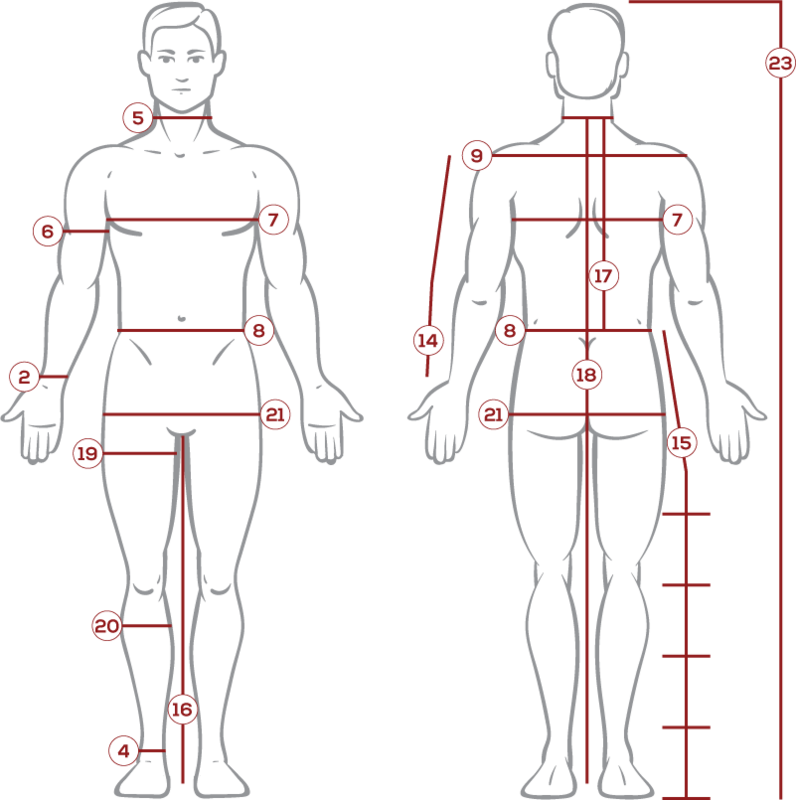 When sized appropriately, it should fall just below the knees. The kilt is fastened via a hook on the right side. The included scarf can be worn or used however the wearer wishes. 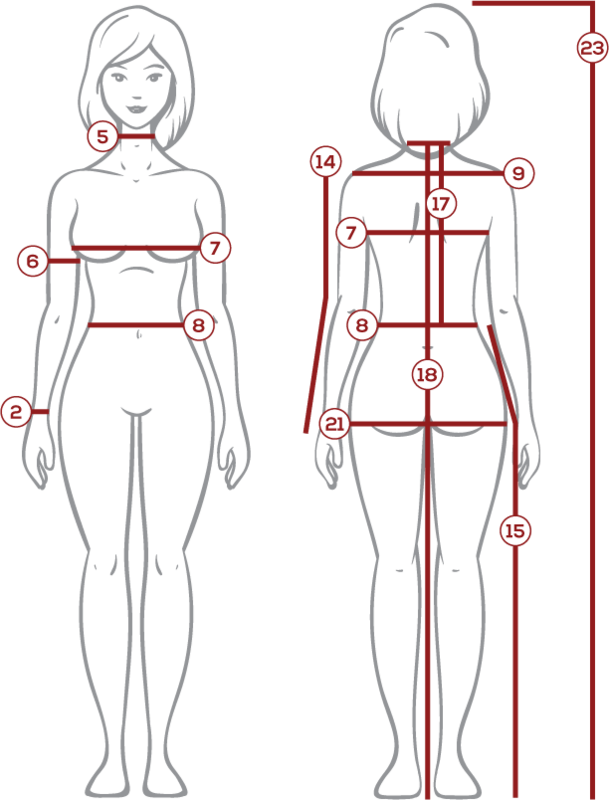 For example, it can be thrown over the shoulder and secured at the waist, creating an attractive shoulder sash. 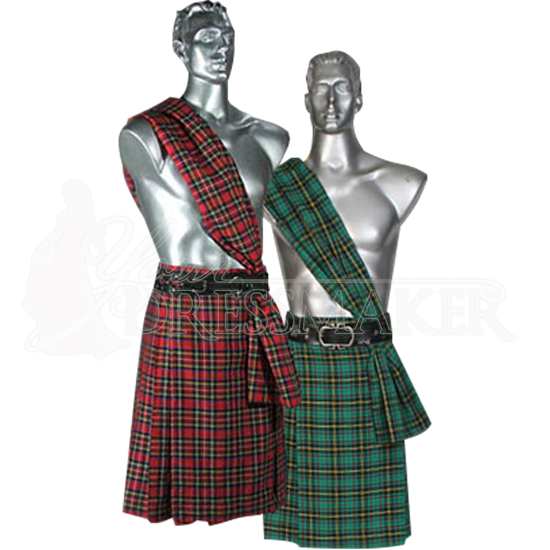 The kilt and scarf combo come in a variety of differently-colored tartan patterns. The scarf will always match the kilt in pattern and color. In the picture above, the Men's Scottish Kilt with Scarf is shown with an attractive belt, which is not included. 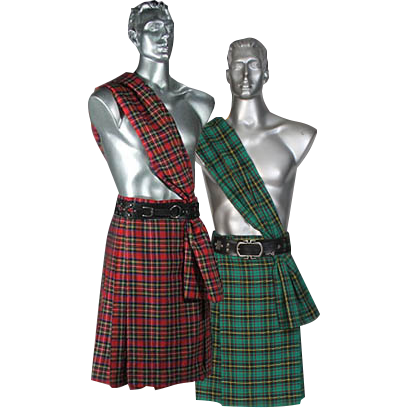 If you or anyone you know happens to be a Scottish laddie that needs to put together a traditional Scottish outfit, then consider the Men's Scottish Kilt with Scarf. This attractive kilt and scarf combination is the perfect beginning to a great Scottish look.